Stay on Rt 27. Pass Rt 287. Make a left at the light (onto Talmadge Rd) just after the hotels. Red Roof Inn and Fairfield. 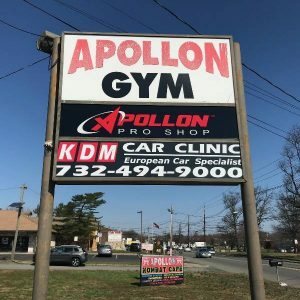 Turn right at the sign for KDM and the Apollon Gym.